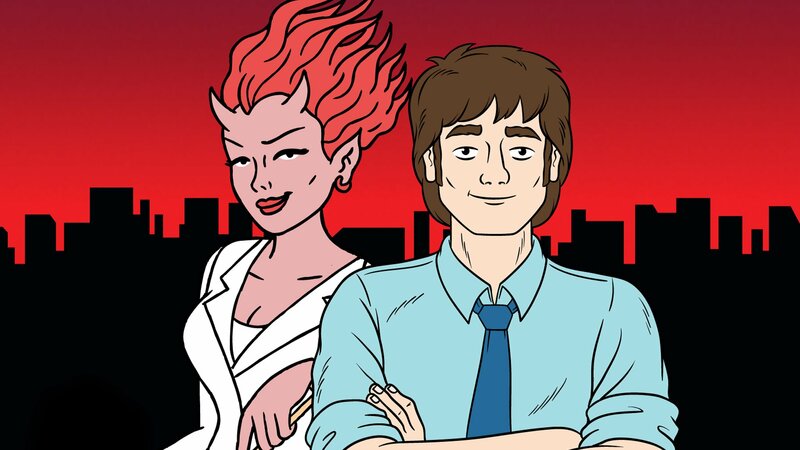 Take New York City, add every beast, sci-fi freak, and faerie, shake, and you've got Ugly Americans. This animated series follows Mark Lilly, social worker at the Department of Integration, as he helps new citizens both human and "other" adapt to life in NYC. Mark attempts to deal with his zombie roommate, demonic girlfriend, and Homeland Security's efforts to use his client list to win a ham. Mark tries to deal with a werewolf integration case, but has more on his hands when Randall can't resist his zombie urges. When Mark takes care of an abandoned demon baby, Callie finds herself suffering from strange maternal demon impulses. Mark meets a pair of creatures who are expected to participate in a public mating ritual. 6. So, You Want to Be a Vampire? As the city contends with a bizarre epidemic, Mark counsels a young woman who wants to become a vampire. Mark tries to help Randall, who has been severed at the waist and needs new legs, while counseling a giant ape with OCD. Mark counsels Tim the two-headed worm creature and gives psychiatric evaluations to Department of Integration employees. Mark and Randall go down to hell to spend Halloween with Callie's family who have some special plan for Mark. After Randall joins the cast of a sleazy reality show, the program’s unbalanced producer becomes obsessed with Mark.